Let's blend in... said no one ever! This unitard is here to break all of the rules and make sure your centre stage this festival season. 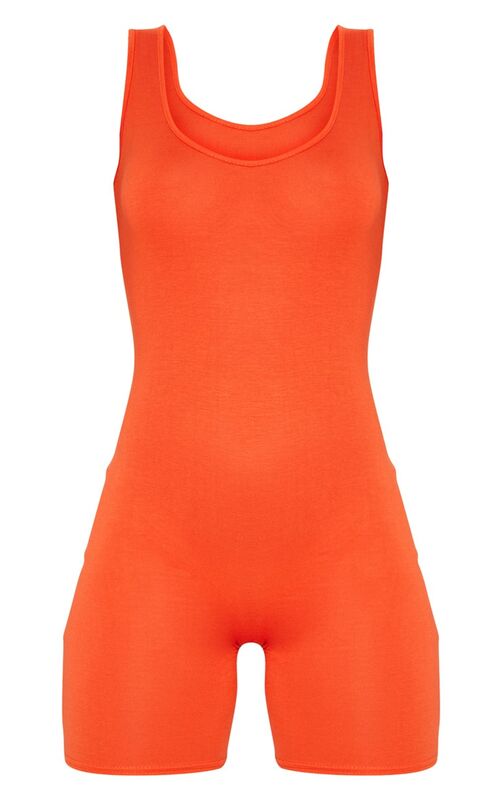 It features a bright orange jersey fabric with a scoop neckline and figure-skimming fit, team with a pendant necklace and fresh kicks for the ultimate vibe.